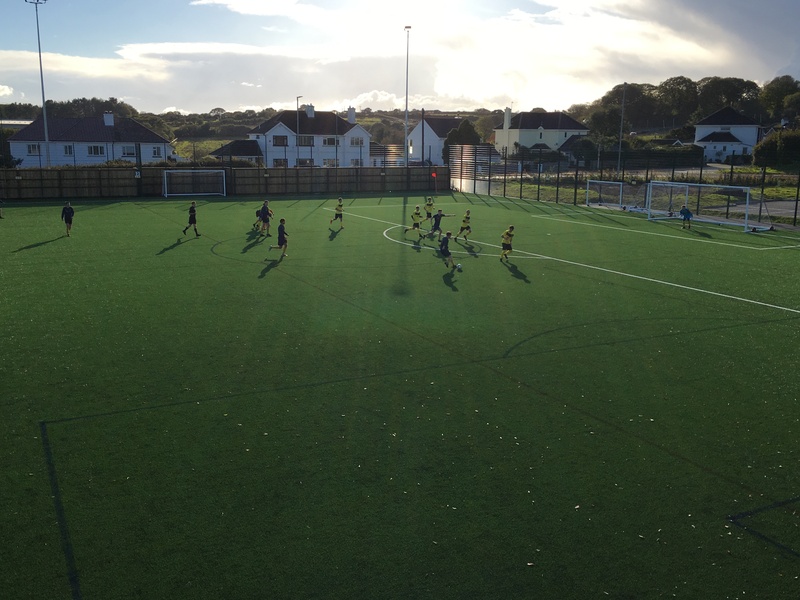 Ethan’s goal wasn’t enough, as a Troon penalty meant CSM had to settle for a point on a chilly afternoon in Falmouth. 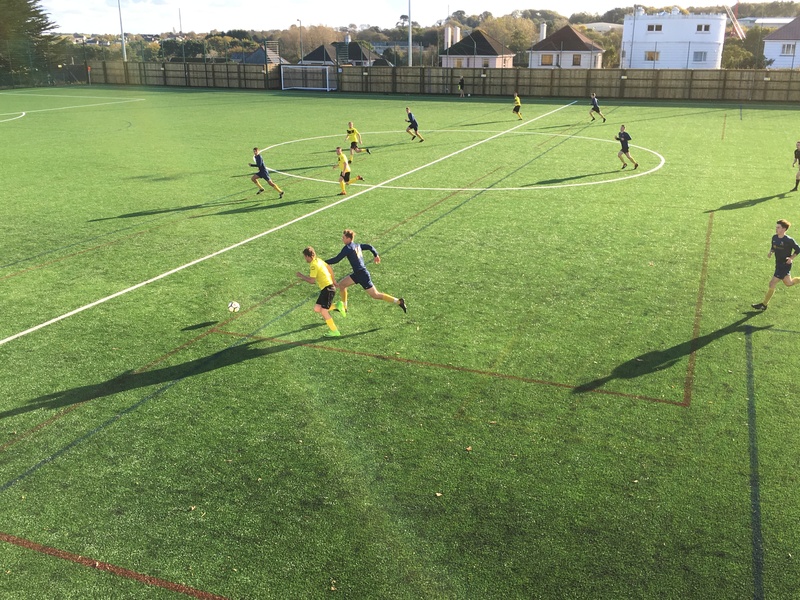 CSM came into the game on the back of a 1-0 victory against Holman sports, while the away side failed to pick up a point on the road this season (up until today). During the game, CSM had the better of the chances and most of the possession particularly in the first half; although felt sustained pressure from the away side after a second-half penalty brought the Camborne based side level. CSM were on the front foot during the first quarter of the game with Tom Foulk wriggling his way past the Troon defence, but was stopped from scoring by an excellent save from the keeper. CSM kept on coming and the Troon keeper was called upon again, expertly keeping out a long-range shot down to his bottom left-hand post. Troon’s defence didn’t seem comfortable dealing with the pressure CSM were exerting. This was evident when the away side’s defence fell asleep, giving the ball away in their own box. But CSM were unable to punish them. Troon’s first clear-cut chance came 19 minutes into the game with a ball lifted over the CSM defence, but CSM keeper Jim Linehan was there to clear the danger. Troon’s second chance rolled into the hands of Linehan after a ball was played in behind the CSM defence. The first half concluded with more chances for CSM with Ethan Nichols strike fizzing past the right-hand post. The second half began with Troon coming straight out of the blocks, with a powerful shot hitting right-hand post. CSM responded in much the same fashion with Nichols attempted chip over the keeper failing to come off and a golden opportunity to take the lead being denied by the feet of the Troon keeper; who reacted brilliantly to keep the score 0-0. 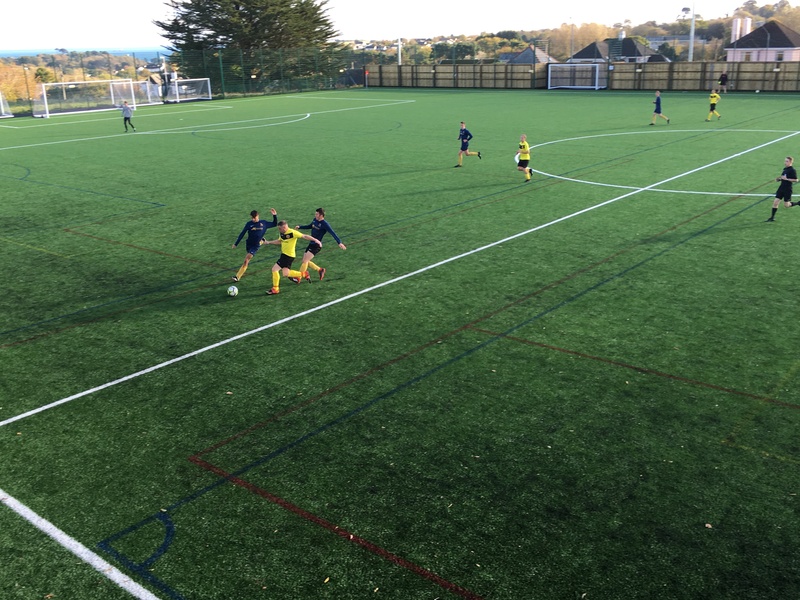 In a very competitive, scrappy encounter with both sides trying to keep hold of possession, it was CSM who had a breakthrough 10 minutes into the second half thanks to Ethan Nichols’ low strike, darting into the right-hand side of the net. Troon almost produced a near-instant response, but the shot headed just wide of the mark. Things started to turn for CSM when a Troon player was brought down in the box, forcing the referee to give a penalty to the away side. The penalty was expertly converted, sending Jim Linehan the wrong way to draw Troon level. From this point on, CSM lost a bit of their composure on the ball and Troon were confident of snatching their first away win of the season with a brilliant opportunity inside the CSM box. But instead of rattling the back of the net; it was sent flying. The game ended with CSM hitting the post, a Troon player beating the CSM defence and firing a low cross that misses everyone but the keeper and Ethan coming close from a free kick. Despite both sides having clear chances to win the game, in the end, a point a piece was a fair result.